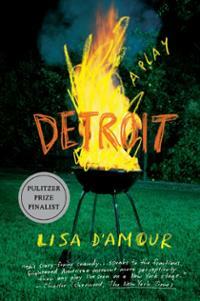 Please join us October 14th at Philadelphia Theatre Company as they launch their 40th Anniversary season with the play DETROIT, written by Lisa D’Amour, directed by our own Yale alumna, Maria Mileaf. Following the performance, we will enjoy a private meet-and-greet reception with Ms. Mileaf. When: Tuesday, October 14 from 6:30 pm to 9pm (show starts at 6:30 sharp; please pick up tickets at box office 30 minutes before show; Detroit is 90 minutes, no intermission.) Meet and greet with Maria Mileaf on second floor mezzanine following the performance. Tickets: $39 group rate (if you already have season tickets and would like to join us, please call PTC Audience Services at 215-985-0420, Ext 2, identify yourself as Yale Alum Group, and change your tickets for October 14.) The show starts at 6:30 sharp; please pick up tickets at box office 30 minutes before show. DETROIT is 90 minutes long, no intermission. Reserve your tickets by October 8, 2014!